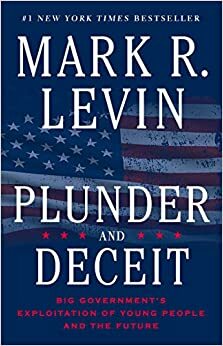 Mark Levin is known for his talk show and the plethora of books he has authored over the years. A staunch conservative and unabashed defender of liberty, Mark has made it his trademark of being a thorn in the political establishments side. In his latest book he continues this tradition by going after both parties. Plunder and Deceit list the many ways the young and future generations are being robbed and thrown under the bus by the political elite in Washington. Levin as usual, uses irrefutable facts to back up what he is saying. A must read for members of the younger generation, regardless of political persuasion. Of course, it is not just the young that needs to be informed of the dangers to America’s future, but all patriots and lovers of freedom as well. Buy this book in hardcover, Audio CD, audio book, kindle ebook.